I’m currently in my first month of my year in industry with Kirkstall which, despite living with partying students and battling the hill starts in my little car in Sheffield, I am thoroughly enjoying! I am an enthusiastic and ambitious student at the University of Sheffield studying bioengineering which is a multidisciplinary course involving maths, physics, biology and chemistry related modules. As a member of the Women into Science, Engineering and Construction (WISE) campaign, I am very keen to encourage and promote girls in engineering and STEM subjects. I feel that work experience is invaluable and I was keen to apply my technical knowledge and re-enforce the practical relevance of the modules I am studying by applying for a placement year. I wanted to work for Kirkstall as I believe they’re on the forefront of medical technology advancement and I am extremely interested in the work of the company. The mission statement, “Saving lives through better science” and company goal to reduce animal testing summarises what I am passionate about and I wish to pursue a career which combines medical research and technology to save lives. I particularly wanted to work within an SME as I believe you are given greater responsibility and accountability for your work which I felt would challenge me and enable me to become a better engineer. So far in my role as a student intern, I have become an expert user in the Quasi Vivo® system. I’ve worked on creating a scientific poster for the ELRIG Drug Discovery conference to highlight problems in the drug discovery process and show where Quasi Vivo® fits in to improve upon current substance testing techniques. I attended a training workshop at Sygnature Discovery in Nottingham and discussed design and development ideas for the QV900 which I plan to work on improving, following their feedback. 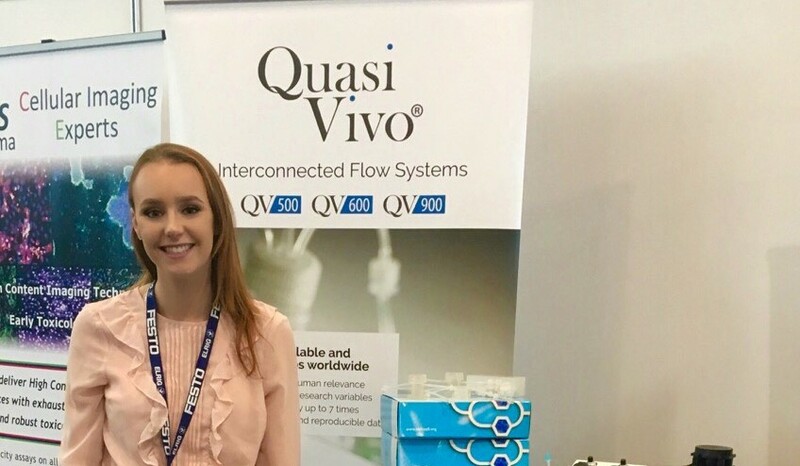 I am extremely interested in finding out more applications of the Quasi Vivo ® systems both in academic research and industry, as well as learning about the business and marketing side of the company. The team have been encouraging and supportive and I’m excited to have the opportunity to work for Kirkstall this year and hope to develop my engineering skills in a working environment.